Nightlight’s most expensive international program is $28,000 in program fees. Including all travel expenses and USCIS expenses, the adoption could cost as much as $49,000. For a domestic program through Nightlight, you would pay only $24,000 in program fees. You will apply with US Immigration for approval to adopt (Building Permit: The salesman told me that the company would take care of all the steps related to the building permit and the permit would be about $700 which is included in the estimate of the room.) USCIS charges families $775 to process your application plus $85 for fingerprinting for each adult member of the household. Agencies charge a fee to evaluate the safety of your family and complete a home study which is submitted with your application, essentially “taking care of” the building permit process”. You are hiring specialized workers through your agency, such as, licensed therapists, social workers, and other social services degrees to conduct home studies, evaluate children’s files, and match families with children. the adoption must meet all regulation requirements (building codes) and pass a “final inspection” when you apply for your child’s US visa. your agency should be available for you and your child for life. The Adoption happens in an event, but a person’s adoption journey lasts a lifetime. If at any point in the future, you need help, we are here for you. Is that similar to a lifetime warranty? I’ll let you be the judge. As I sat and considered the amount of money need to add a room to my home, I realized that while I certainly would enjoy this room, it doesn’t even compare to the joy and reward of redeeming an orphan. What is the cost of redemption? Christ shed his blood on the cross so that you and I could be redeemed. He paid it all! Redemption is costly, and it is certainly more valuable than a room added on to my house. Last weekend I visited the local Home and Garden Show and I was so inspired by the patio rooms displayed that I made an appointment for a salesman to visit my home. After talking with him about my desires for the room, he crunched the numbers. I had figured the room would cost around $25,000. After he crunched the numbers, the first price was $81,000! He said, “I’m sure that is a bit more than you were expecting.” Of course, after all the deals and discounts, the final price was $57,000. Then we discussed some adjustments, such as, making the room smaller. Ultimately, we were able to get the price down to a meager $42,000. After he left, I ultimately decided that adding this room to my home is just not in the budget for this year. However, I started thinking about the cost of this room and the fact that no one would ever question the validity of this cost. The company has a good reputation, and the rooms are made from the highest quality materials. 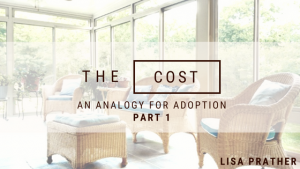 Yet, when discussing the cost of adoption, many people question the validity of the cost. Many feel that adoption should be free or at the very least the cost should be minimal. In the mind of some, no one should be employed in the world of adoption and everyone should volunteer. Over the years, I’ve heard comments made that it is “free” to adopt through the state. This is simply not true. While the adoptive family does not write a check to the local Department of Human Services, the employees are paid and the cost of the process is covered by tax dollars. If you look at statistics regarding the average cost to care for a child in foster care annually, you will find that private adoption is actually quite inexpensive. So, how is it that building a room for $42,000 or even $57,000 is so easily accepted but adoption costs are seen as unfair? Let’s look at this objectively. Materials-I want the best quality of course. Specialized workers for foundation, glass, roof, etc. The company also offers me a lifetime warranty. If anything happens to the glass 20 years from now, they will send someone out to fix it. How does this compare to adoption? Stayed tuned and read more next week! 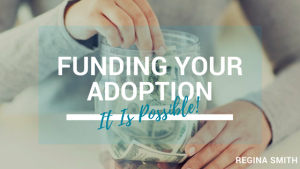 Funding Your Adoption: It is Possible! 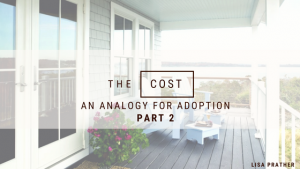 One of the first and most frequent questions I am asked when I speak with people about adoption is “How much does adoption cost?” While there are complexities in answering this question, I realize that many people ask this question in an attempt to determine if they can afford the adoption program fees. They have the assumption that they could not afford this option of building their family. Let me first address the fact that any method of creating a family is a process. There is no method of building a family which is free or quick. Whether you build your family through pregnancy, assistive reproductive technology, or various types of adoption, it will require a commitment of time and finances. Many people do not realize that some employers offer adoption assistance. The Dave Thomas Foundation releases an annual list of employers who offer adoption assistance. Don’t assume that your employer doesn’t offer this if they didn’t make it on the list. Check with your church. Many churches have funds available. Even if your church cannot provide you with financial assistance, they may be able to help you in other tangible ways. For instance, you might be able to use the church to hold a fundraising activity. Or, individuals within the church may desire to help you financially. Many organizations offer adoption grants for those working with a non-profit adoption agency. You must have already completed your home study before you apply. There are several opportunities throughout the year to apply. They will ask for specific documentation, but you will already have this documentation gathered for your home study. Federal and state tax credits may be available to you. Check with your CPA to know exactly how to best utilize these tax credits. Crowd funding might be an idea for you. One of the most popular sites is “Go Fund Me.” Be sure to read the fine print to determine how much (if any) these crowd funding websites charge for their services. Nightlight offers The Adoption Bridge for families who are adopting through Nightlight’s programs. Consider the hobbies and interests you already have and create a fundraiser from them. If you enjoy running, and are a part of a running club, then plan a 5K run or walk to support your adoption. If you enjoy cooking or baking, then get busy in the kitchen and sell your tasty creations! Take a small part time job and devote the earnings from this employment to your adoption fees. You might consider becoming an Uber or Lyft driver, or delivering newspapers, or babysitting children on the weekends. Some families take out a loan to cover their adoption fees. America’s Christian Credit Union offers loans specially for adoption. Create a keepsake for your child, while at the same time raising financial support for your adoption. One idea is to purchase a 500-piece puzzle, then sell the puzzle pieces to supporters. They could write their name or a special message on the back of the puzzle piece. Once the pieces are sold put the puzzle together. Voila! You have a nice keepsake that you can frame and hang in your child’s room. Design a t-shirt to sell. Not only will it generate funds for your adoption, but it is a conversation piece. It is sure to spark a conversation and potentially generate more support for your adoption. And, this is a great keepsake for you, your child, and the rest of your extended family and friends who are on this journey with you. Do you know someone who has a direct sales marketing company such as Mary Kay, Pampered Chef, 31, Scentsy, or other enterprise? Talk to that person about holding a “party” or sale, where the proceeds from that event would be given to your adoption fund. I am certain that there are other fun, creative and unique ideas out there. I welcome your input. Please comment on this post, so that we can generate even more ideas for others. Below are some details that I received from the IRS relating to the adoption tax credit. Great news: The adoption tax credit has increased, and you could get a tax refund!!! The Adoption Tax Credit has been extended another year, and starting this year, it has increased to $13,170. So if you adopted this year or next, you can receive not only a tax credit of $13,170 but for the first time, the tax credit is refundable. 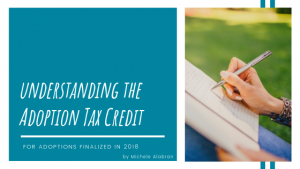 Except for the increase in the amount of credit you receive and the fact that the tax credit is refundable, the previous rules remain essentially the same. 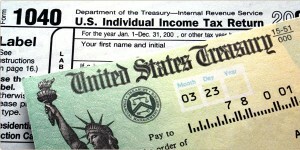 The adoption tax credit will not sunset on December 31, 2010; it has been extended to December 31, 2011. Nightlight Christian Adoptions has recently made available an updated 10-page guide to funding the expenses of your adoption. The resource guide provides detailed information concerning the new Federal Tax Credit/Refund for Adoption. The Financing your Adoption resource list is available at our Funding Your Adoption Resource Page. 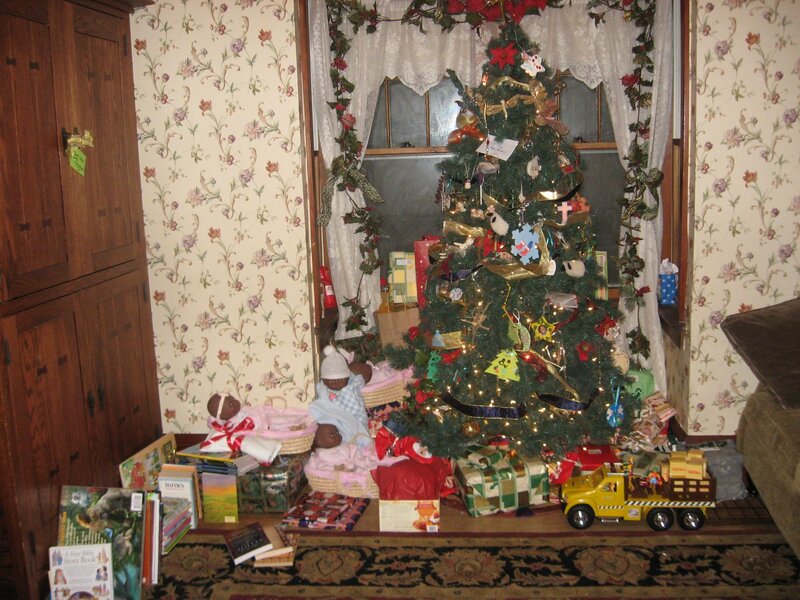 Should Christmas be canceled when you are pursuing adoption? This is actually a question I have posed to myself — tongue in cheek — because we have had five of our children placed with us during the days immediately before Christmas and have wrestled with the same dilemma each time. The problem isn’t whether we should celebrate the birth of Christ, but whether we should invest in the economic side of how we do it in America. Tree, gifts, spiral ham and sparkling cider — we are not talking about gross excess here, but the simple things that are a traditional part of our culture. It’s the question of spending money that does not absolutely have to be spent while we are facing the inevitable reality of significant bills related to adoption. According to Brent Nelson, Family Legacies’ Development Director, all gifts to Family Legacies are tax deductible and will multiply over and over for years to come. 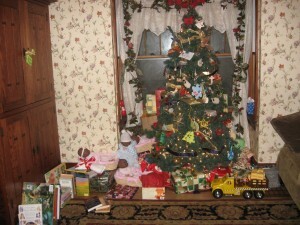 For example, a $5,000 gift effectively helps 8 orphans to be adopted in a 10 year period. Think about it: $5,000 becomes $40,000 in 10 years. And that same original gift will continue to be used over and over after 10 years. What a great investment!